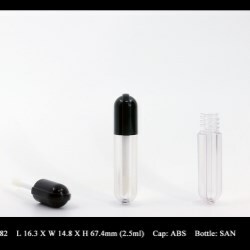 Oval Shaped Lipgloss packaging feature with ABS cap and SAN bottle that are available for diversified decoration. This lipgloss bottle is a bi-injection component that presents two contrast colors in one single production process. The 6 ml lipgloss packaging has a special look - bowling bottle shape. It is distinctive and unique from any other lipgloss packaging available. Fancy and Trend's team optimizes plastic component combination as well as its advanced production technology to present a color contrast packaging collection. 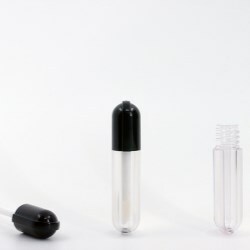 Addition to the lip gloss bottle that can be filled with 12ml product, the cap of lip gloss packaging has a reservoir to hold another product and can be seen through via the clear closure on the top. The lipgloss packaging features a special over spray to show a gradation shade on the SAN bottle. 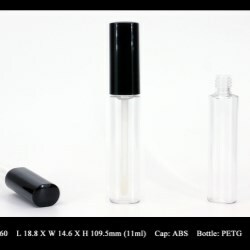 The lipgloss features magnetic closure with a thick-walled SAN bottle. With leakage test trials, Fancy & Trend makes sure the lip gloss bottle doesn't’ compromise its functionality and enhance the fashionable style with magnetic closure. The lipgloss packaging features a specially designed lipstick shaped reservoir, a distinctive style that enhances the entire product appearance. 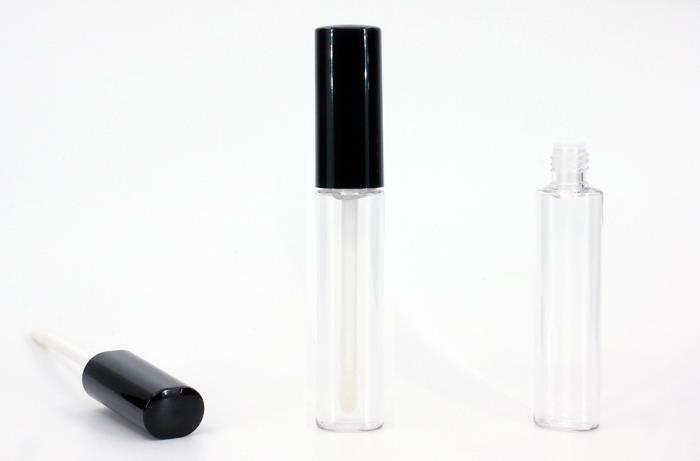 The 3 ml lipgloss packaging in luxurious design has a square shaped SAN bottle that is compatible with cosmetic formulae. The lipgloss packaging features thick-walled bottle component and a decorated band at the closure.